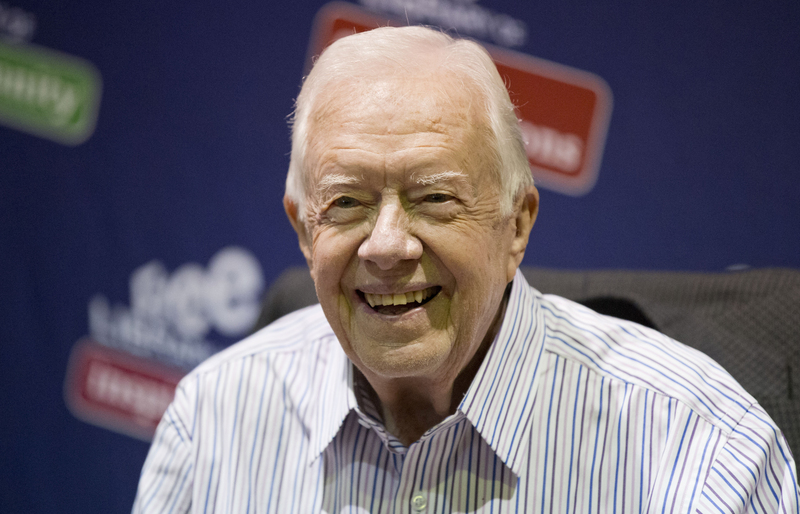 Former President Jimmy Carter will discuss his cancer diagnosis this Thursday in a press conference at the Carter Center in Atlanta, Georgia, the Carter Center announced. The 90-year-old former president announced last week that the disease is spreading through his body. The diagnosis came after surgery earlier this month to remove a small mass in his liver. Mr. Carter said in an initial statement that he would have the condition assessed by doctors at Emory Healthcare in Atlanta. CBS News' chief medical correspondent Dr. Jon LaPook noted that Mr. Carter has a strong history of pancreatic cancer. His three siblings and father died from it. Carter, who is 90, was the 39th president of the United States and the nation's second-oldest living president. Since he left the Oval Office, he established the Carter Foundation and has traveled the world working on issues like healthcare and global democracy. The former president was met with worldwide supportafter his announcement last week. Among Mr. Carter's well-wishers was President Obama. He called the nation's 39th chief executive late Wednesday to wish him a full and speedy recovery. Mr. Obama issued a statement saying, "Michelle and I send our best wishes... Jimmy, you're as resilient as they come, and along with the rest of America, we are rooting for you."